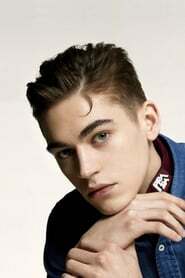 Hero Fiennes Tiffin (born 6 November 1997) is an English actor and model born in London, England. He is best known for his role as the 11-year-old Tom Riddle, the young version of Lord Voldemort (played in the films by his uncle, Ralph Fiennes) in Harry Potter and the Half Blood Prince (2009). He portrayed Hardin Scott in the movie After (2019).